Reading progress update: I've read 160 out of 400 pages. The Banshee is by far my favorite new addition to the cast of the second book. 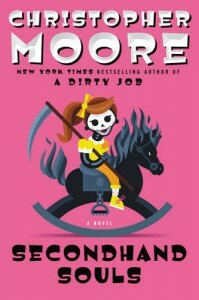 So far I'm loving the sequel of A Dirty Job, I might even like it a little bit more.